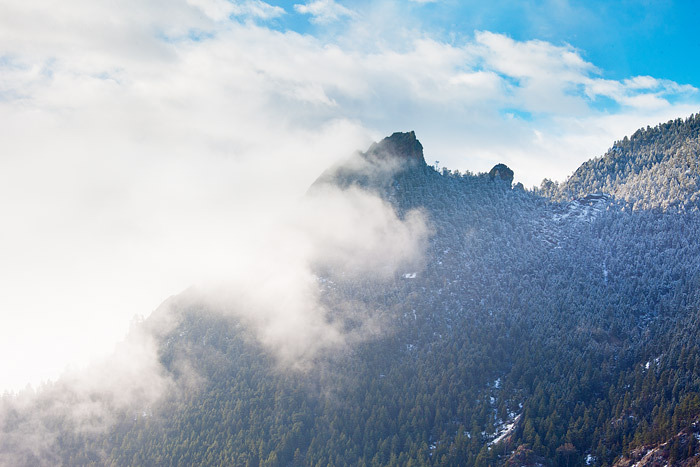 A previous nights snowstorm begins to move out, revealing Boulder's famous Flatirons formation and a fresh line of snow. This view is from Flagstaff Mountain just above Boulder, Colorado and part of Boulder's beautiful Open Space and Mountain Park's property. Photo © copyright by Thomas Mangan.